Up close and personal with the Murray Buttes region of Mars. NASA's Mars Curiosity rover may have taken a little break earlier this summer, but the craft has been back at work and beamed some excellent images back to Earth late last week. 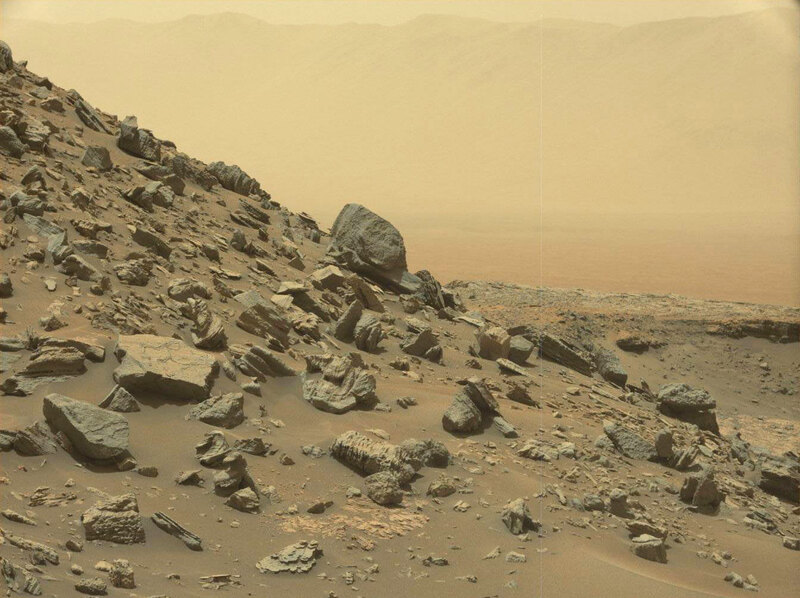 Curiosity has been exploring the "Murray Buttes" region of Mount Sharp and send back color photos of what NASA Curiosity Project Scientist Ashwin Vasavada called "[a] road trip through a bit of the American desert Southwest on Mars." Indeed, these large color photos are evocative of what you might see down in Arizona or New Mexico. The rover isn't just trying to collect postcard-worthy images, though. Vasavada said that "studying these buttes up close has given us a better understanding of ancient sand dunes that formed and were buried, chemically changed by groundwater, exhumed and eroded to form the landscape that we see today." Basically, this up-close view of the buttes is helping NASA understand the history of Mars and how its landscape has changed over time. While the Curiosity team has only released a handful of images thus far, there are plans to take the photos from the rover's Mast Camera and build some large mosaics from stitching multiple images together. But even the individual images are worth viewing (you can see them all here). The next move in Curiosity's journey is to continue going south and higher up Mount Sharp -- chances are good we'll get some spectacular shots from that part of its trip before too long.